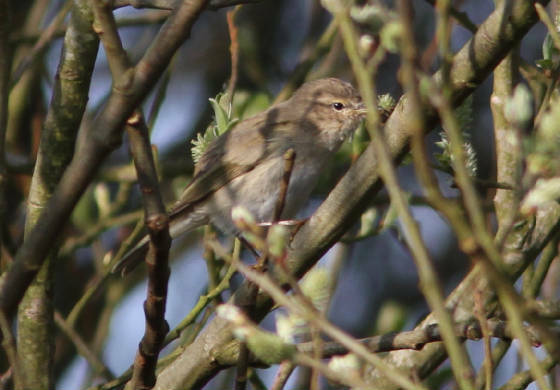 Bird was present near main garden, but silent and not identified, on 25 March. 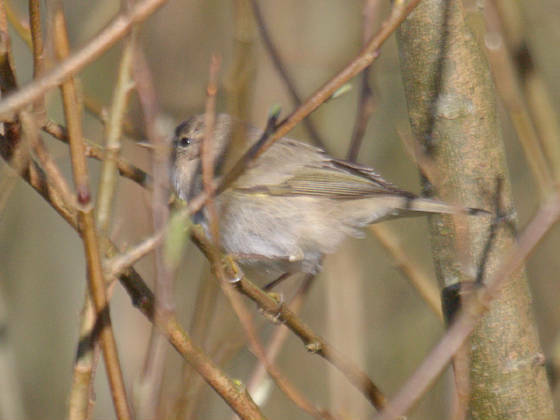 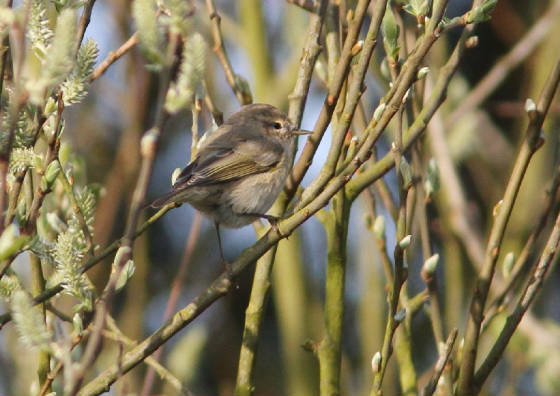 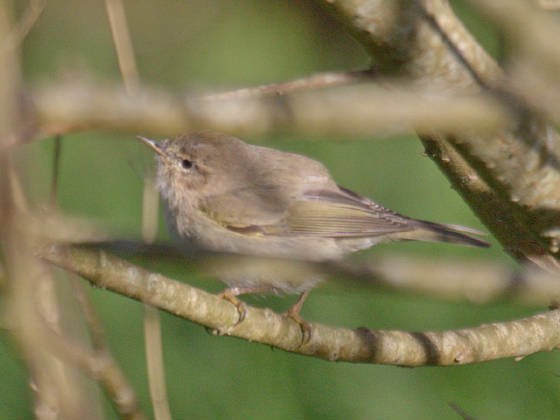 Identified as 'Siberian' Chiffchaff by Paul Archer on 27 March, when it was in main garden for most of the day. 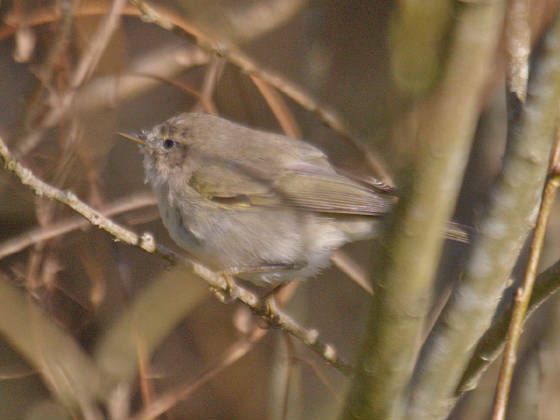 Seen well by PA & Killian Mullarney, heard calling ("eeph") but voice not recorded. 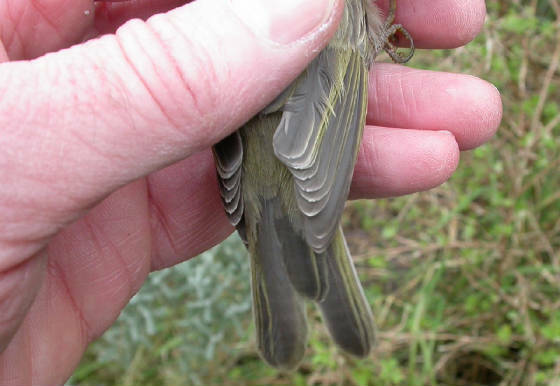 In active moult, with upper tertials and central tail feathers missing and active moult on body. 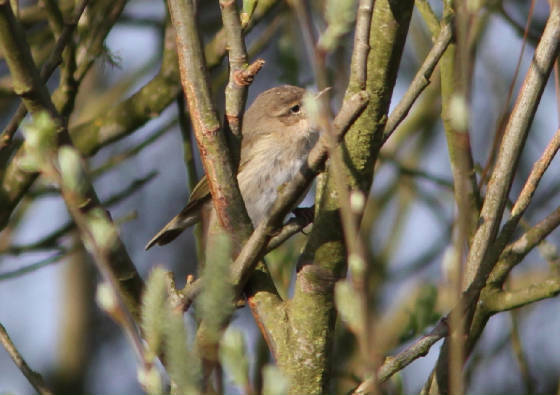 Sound-recorded (call) by PA on 29 March. 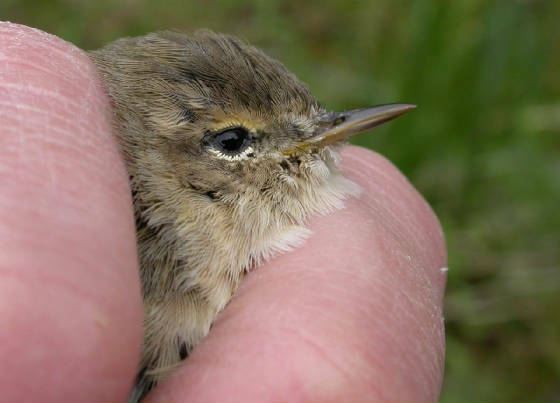 Mist-netted & ringed on 1 April (aged as 1st-summer / 2nd-calendar-year on basis of contrast between retained juvenile and new adult-type greater coverts). 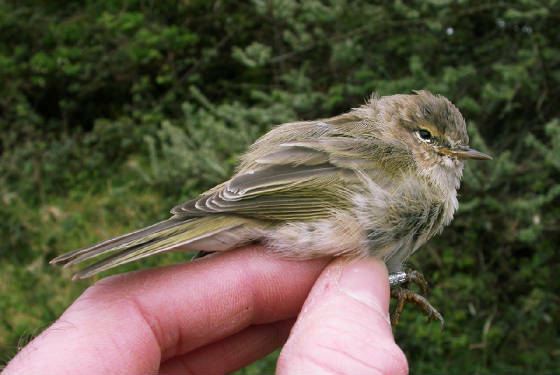 Collinson J.M., Shannon T., Archer P., Odin N., Riddington R. & Walsh P. 2013. 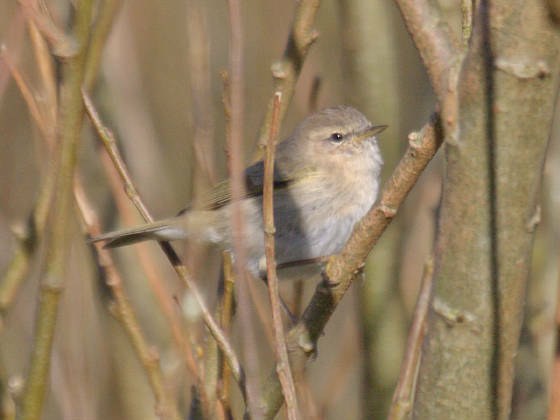 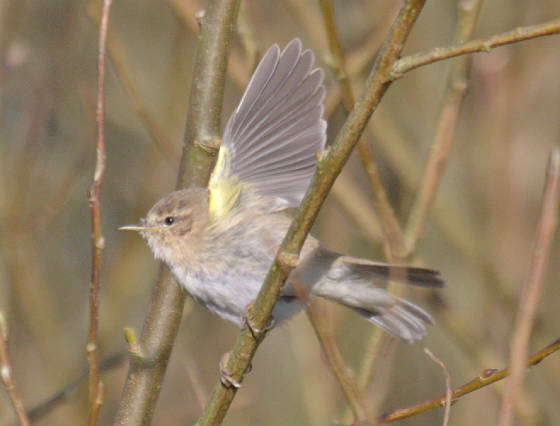 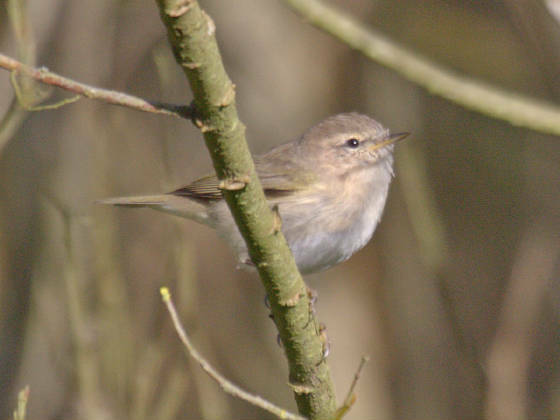 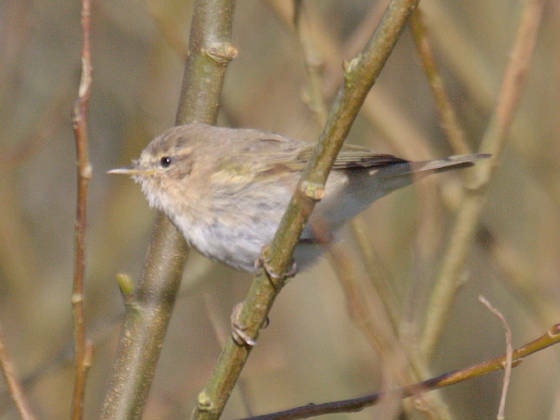 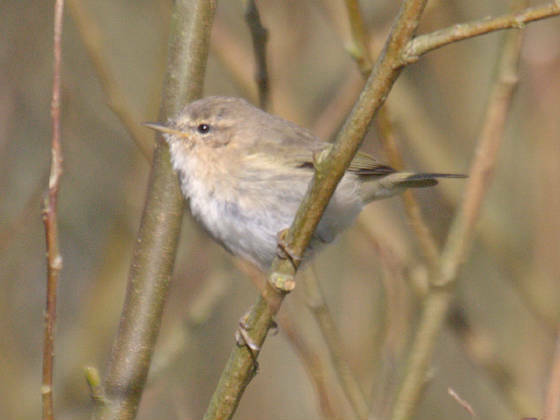 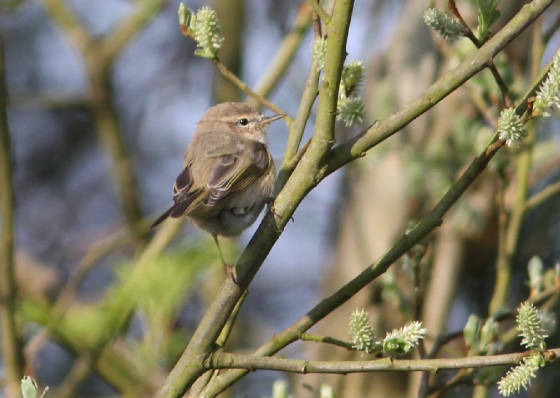 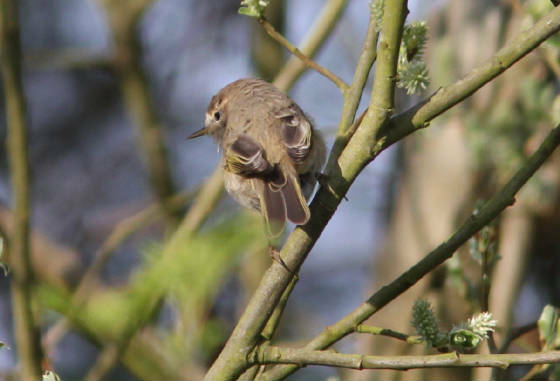 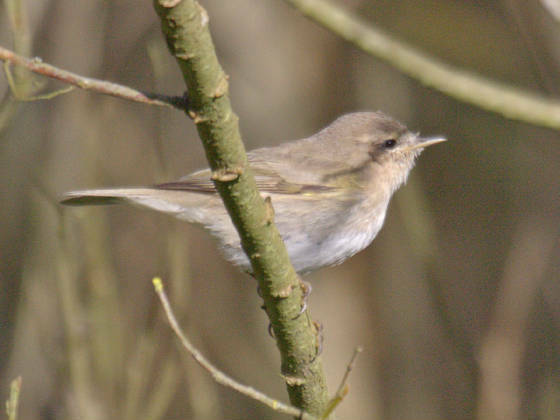 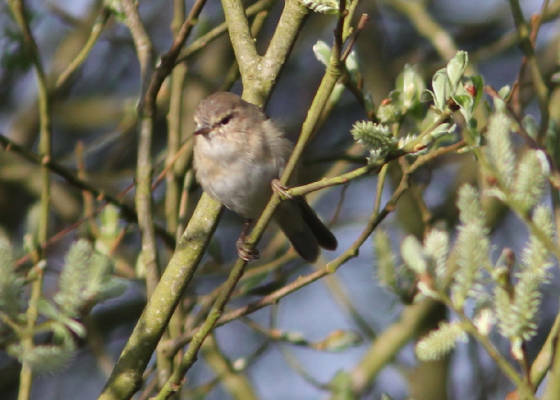 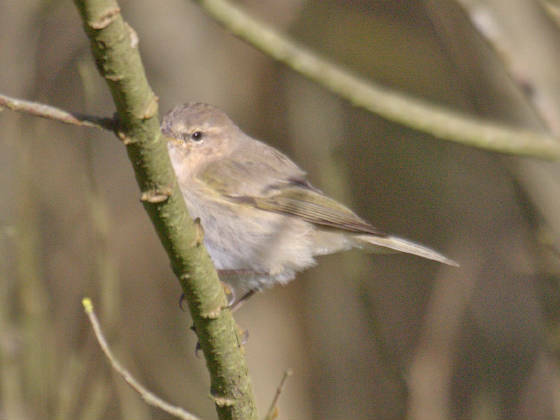 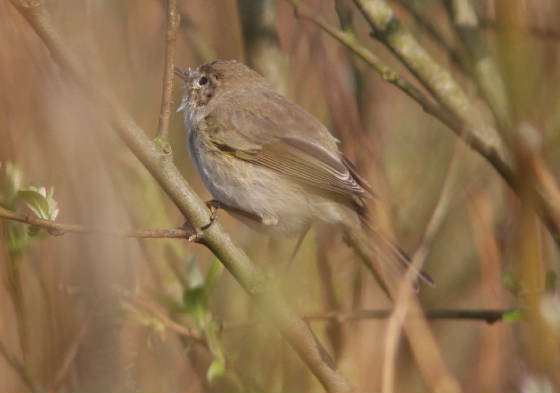 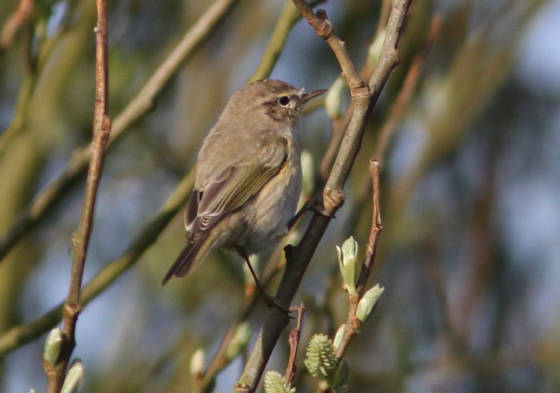 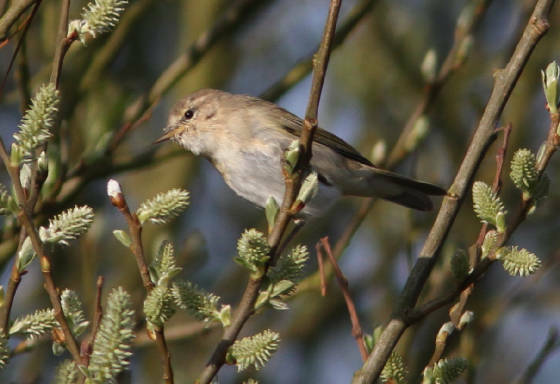 Genetic analysis of migrant Siberian Chiffchaffs in Britain and Ireland. 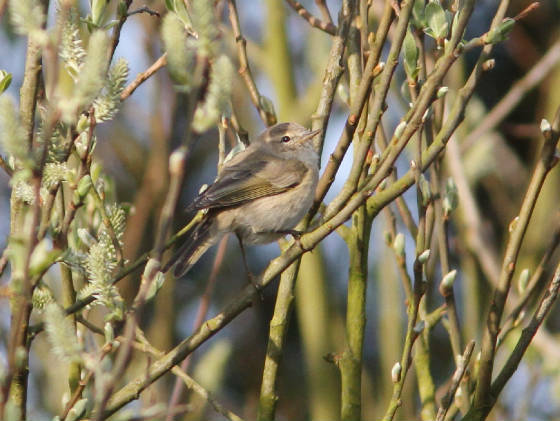 British Birds 106: 109-113.